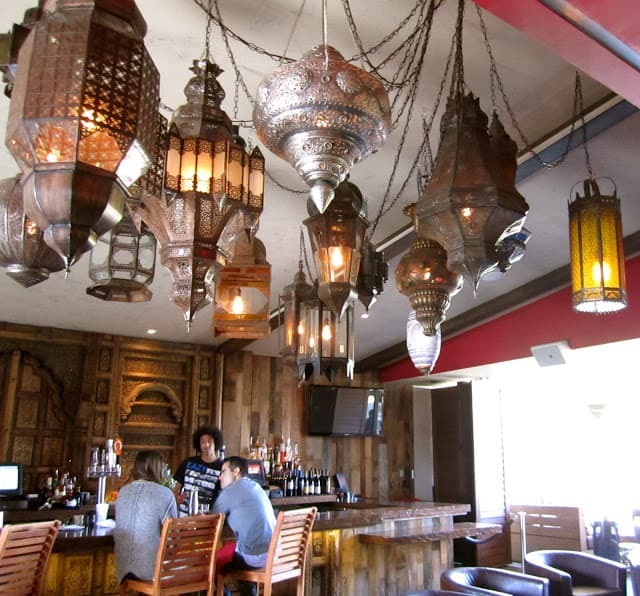 Come with me to Lure Fish House north of Los Angeles in Camarillo, California. Although on some of the design shopping trips. her restauranteur sister, Patty and brother-in-law, David. which you can reserve for special occasions. AND the nautical feel of the round interior window. Here is the bar with a huge gothic mirror. 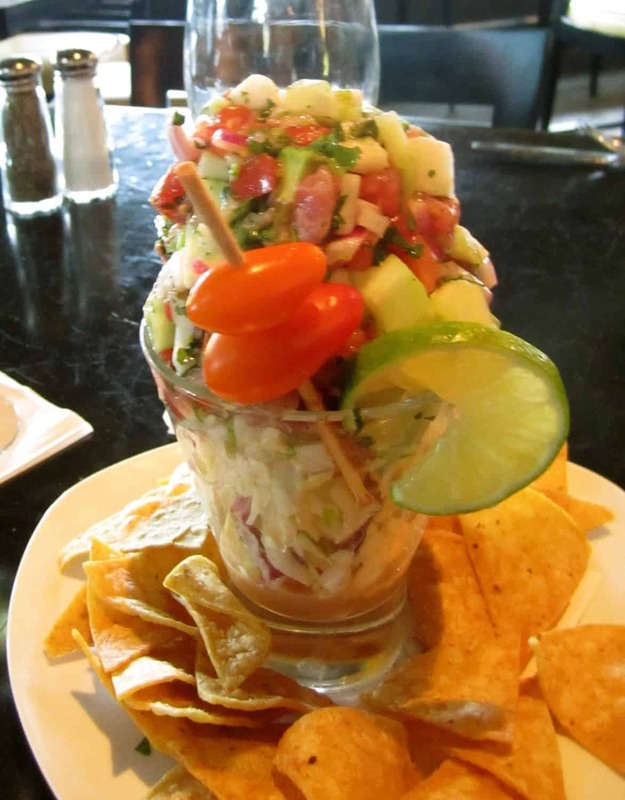 for a glass of wine and delicious ceviche. The food is fabulous. Bravo David!! 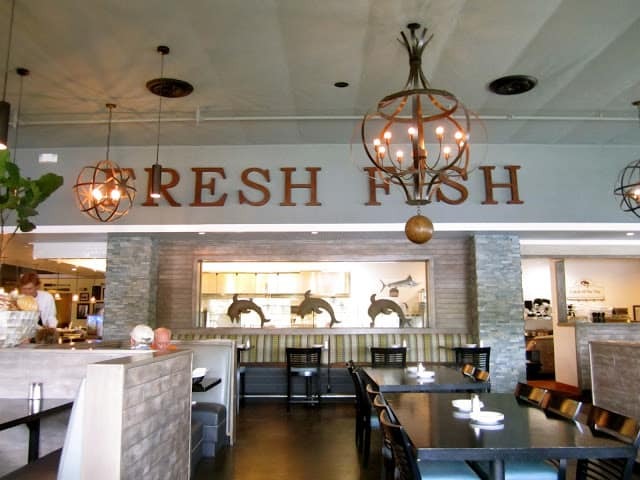 Fresh fish is flown in daily. 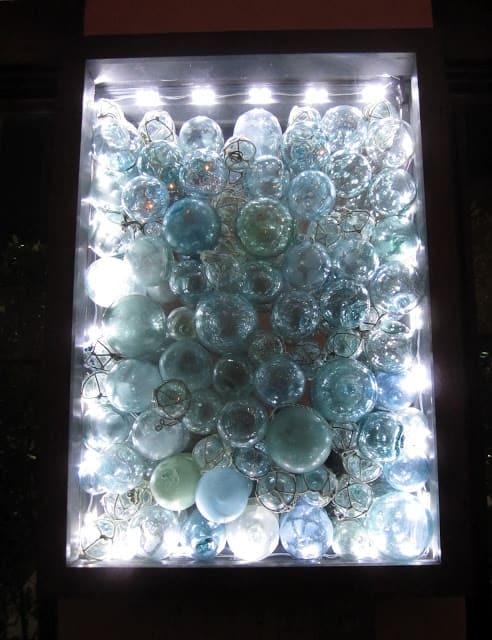 night time didn’t make the cut…except this cool window box. 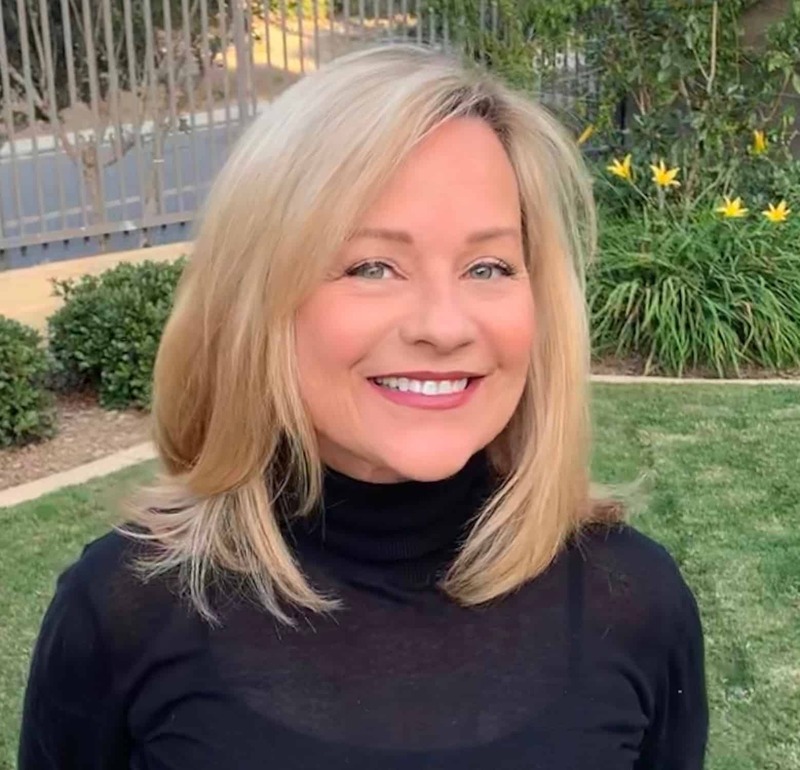 Debbie’s daughter, Julie, designed the logo. in the area with different decorating schemes. Del Mar, California is Burlap. The cuisine is Cowboy-Asian fusion. Seriously. My mother, sister and I had brunch here… flavorful and unique food combinations. …quite the night-time scene, I’m told. Thomas Schoos was the designer. The waiter spilled a mimosa on my sister. Except for my sister’s shriek, we remained calm. They gave us the entire meal for free! That was even BEFORE I said I was going to blog about it. look what we did. OK, I look nerdy but I want to do it again! Have you been to any fun restaurants lately? The fish restaurant is fab! Your friend did a great job! It has a lovely fresh feeling! Beautiful spaces! Looks like a fun time was had by all. 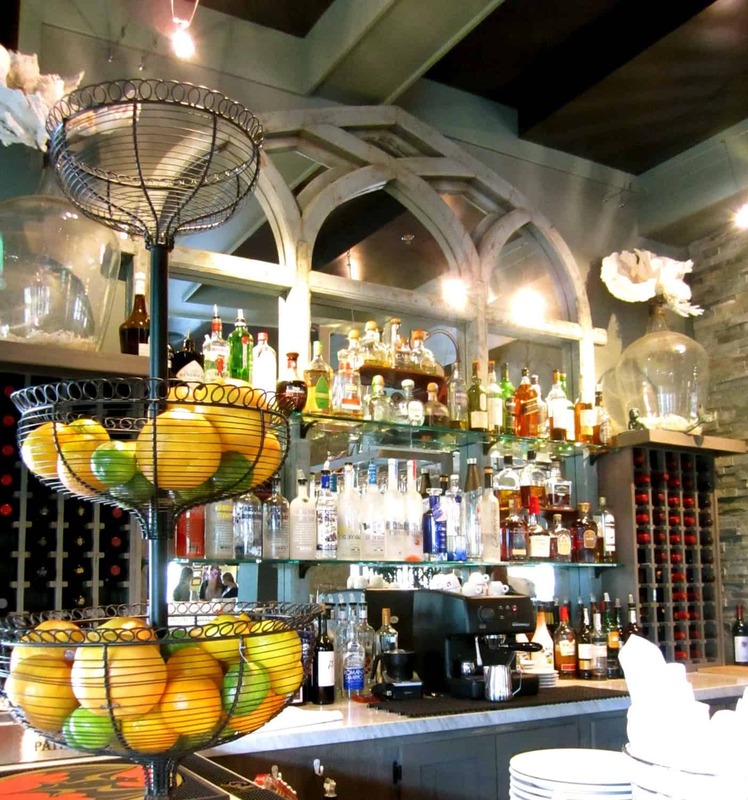 Oh gosh…that gothic mirror behind the bar is to die! 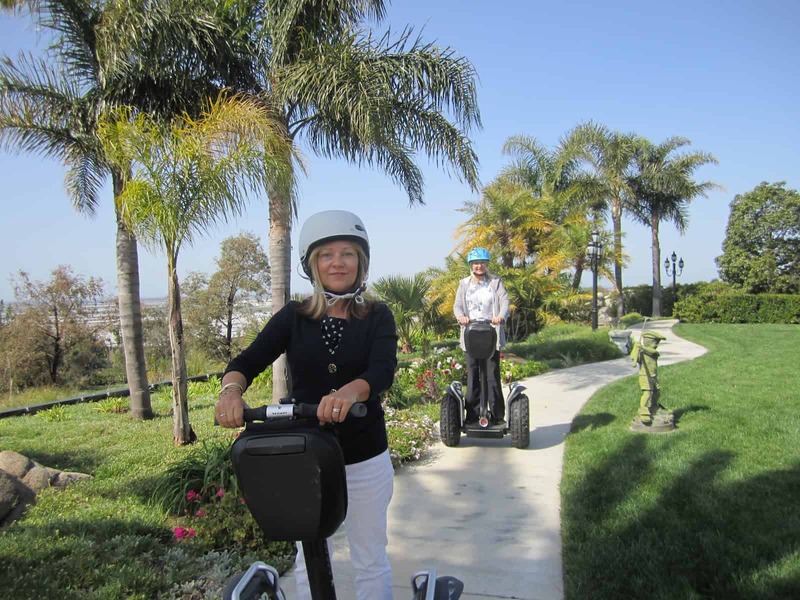 The whole place is designed so well…..and you on the Segway….looks like it was fun! Wow, what a talented team, amazing job! Love the Noir lighting, such a sophisticated, casual vibe they created in all the details! I love seeing restaurants take some interest in creating an exceptional decor. So many restaurants are boring. Two of my favorite restaurants for their decor as well as food are on opposite coasts: Pinot Provence on Bristol in Costa Mesa, CA. Love the authentic French decor, very understated and beautiful and then in New York, Freeman's…antiques done with such flair. On my visit I had to remind myself I was not in the English countryside. I have been to both of those places, too…great choices! 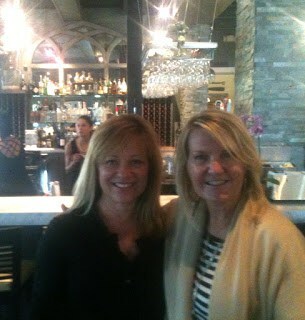 Your friend Debbie is so talented, what a beautiful and warm feeling restaurant. The weather in California really works with that great laid back vibe too. Love it! 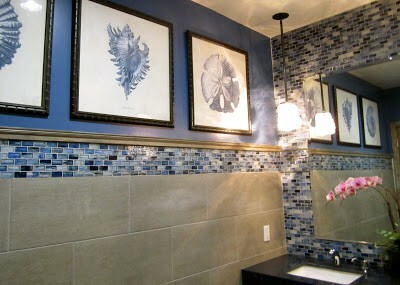 I want the picture in bathroom and chairs in family style dining room:)) any chance I can get the source?;). In love with the decor in the first restaurant!! I love the gothic mirror. Something so fresh about this place. I am seriously dying to ride a scooter! Looks like such fun, Mary Ann. 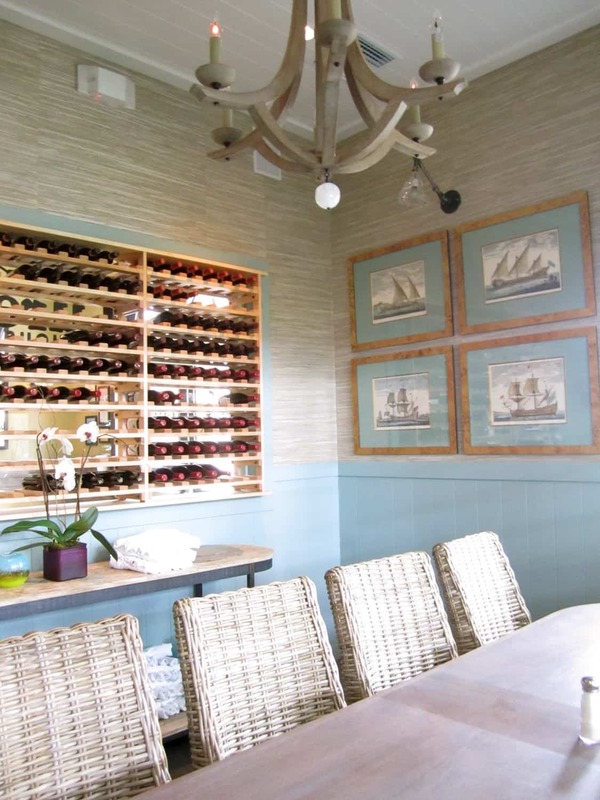 cozy chic and lots of seafoods… Count me in. Maryann, Lure is about 10 minutes from my home. I heard it was good and the decor looks amazing, but i have never been there. Next time your in town email me- I would love to meet you for lunch. Bob and I rode those scooters in Hawaii and they are a blast! You pulled off the helmet look much better than I did! Both restaurants sound wonderful but a little far for me to bad since I really love fish. You look cute in your helmet and I think we would all look silly but that's half the fun! to make a point to stop in Camarillo to "shop" outlets then eat at "Lure". I've always wanted to try riding a "Segway"….how fun! And you could never look nerdy….just sporty "chick"!!!! Love it! 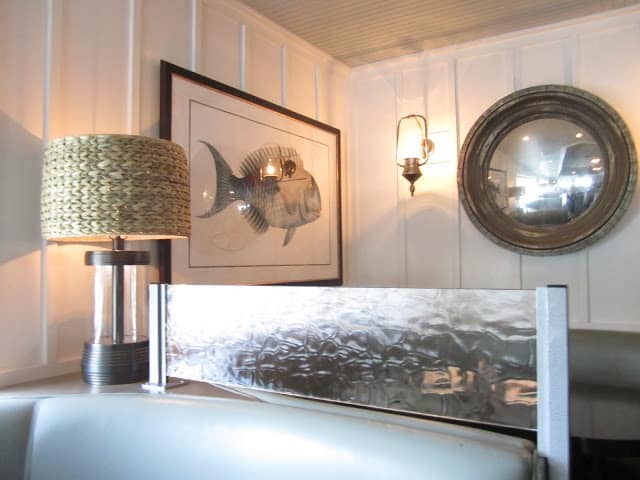 Lure Fish House looks beautiful…and love the eclectic decor of the place in Del Mar. They can spill a mimosa on me anytime so long as they refill it and take care of the tab! You look adorable on your Segway…not at all nerdy! What a gorgeous place, and look at you on the segway!! You Go Girl!! I love the restaurant design/decor of Lure. Debbie did a great job. The restaurant looks beautiful! I love all the lighting and walls. Looks like you had fun too! The first restaurant is just STUNNING! 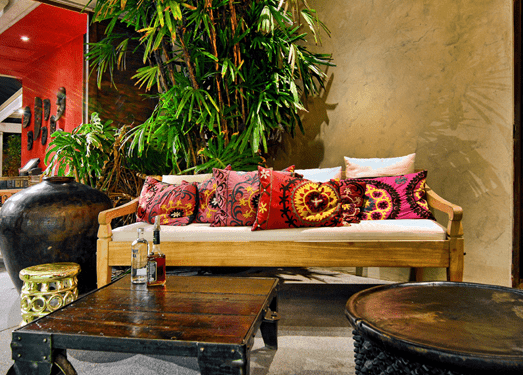 Love all the decor details and how personable it is. Makes me want to dine there stat! You were having soo much fun. I want to ride a Segway!! Wow! Thank you for the post about Lure. We are heading north next month and will have lunch there! Perfect! 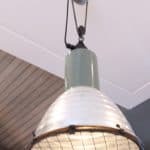 I have been to Burlap and loved the inventive design, furnishings and menu. Our experience there was a great one. Love Pinot Provence. But now, I must go to NYC to Freeman's! you have an awesome blog!! i'm often very inspired by restaurant decor. There are some great places here in Philadelphia that we love to check out. We were recently at a farm to table concept restaurant and it was just like being in someone's home – big farmhouse table, comfy chairs, etc. Thanks for sharing these with us! Beautiful decor! 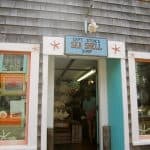 I love the coastal charm of the Lure! All of the details add such ambiance! What fabulous restaurants. The first one has so many of my "beach house dreaming" elements – adore the lighting!! What a fun post! Both restaurants are gorgeous and inviting, and within my geographical range so we'll definitely check them out at some point. The restaurant is beautiful! I'm so happy to hear that it's such a huge success! I would love to ride on a Segway. They look like so much fun. Beautiful restaurant. I love the soft neutrals used throughout and all of the textures….oh and those chandeliers, gorgeous. You look like you were having fun on the Segway Mary Ann. I would love to try one someday. The decor and photos are amazing. I love how the nautical theme is done so well and very classy! No wonder you're having such a great time because you have great resources! Love the decor shots and glad to read the restaurants are doing great. Good for our economy. You look very confident on the Segway…mush have been fun! Thanks for sharing. What fabulous looking restaurants. 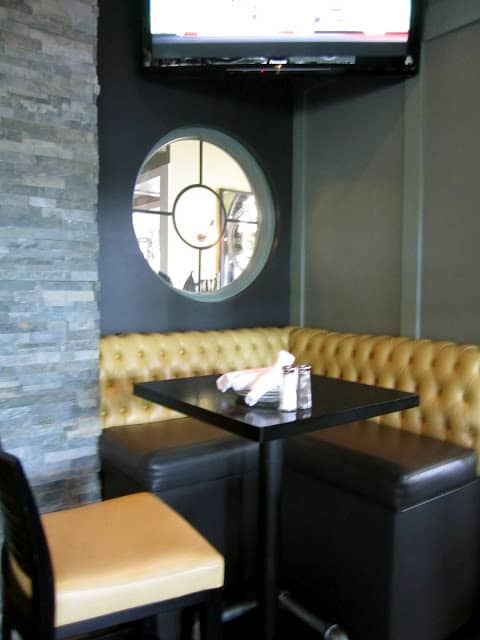 Lure looks right up my alley and LOVE that fabulous tufted banquette!! 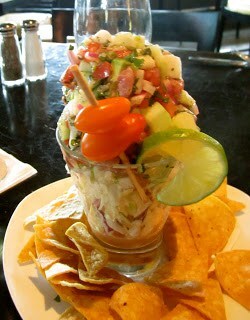 looks amazing & that ceviche looks delish! Reminds me of The Oasis here in Austin! Especially lv the paint colors? Would I be able to find out about the colors used?? I love the stacked stone! Can you please send me the manufacturer and the color? Please??? 🙂 Thank you so much!